Esports Edition recently had the opportunity to interview two of the founders of collegiate esports network Tespa — the latest in a string of interviews with prominent influencers in the esports world. Esports Edition journalist Gillian Linscott has been reaching out to notable players and organizations for the past few months. But it was Tespa, now working in partnership with Blizzard, who reached out to Esports Edition. 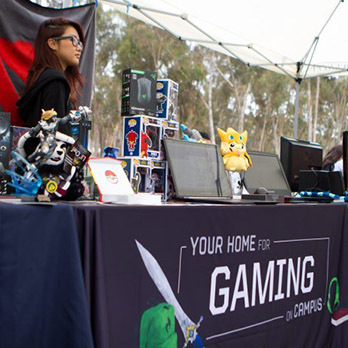 The organization, which has given out more than $1 million in scholarships to students who have competed in their esports tournaments, is making some changes this year and asked Esports Edition to write about them. Gillian’s article covering the updates was published last week. Other big names Gillian has interviewed recently include Dota 2 caster Annie “AnneeDroid” LeClair, Brawlhalla player Noel “noeL” Rosario, and Desoladies founder Ashely “Ashnichrist” Christenson. Gillian says the gaming industry tends to focus on things like the outcome of a game or why a player made the decisions they did, rather than on people and personalities. She tries to bring something a little different to the interviews she does. “I always wanted to deliver unique content that connected our community with individuals who sometimes feel unreachable,” she says. Gillian’s recent interviews come after a busy 2016 when Esports Edition had the opportunity to attend many high profile events, including DreamHack Austin, the North American LCS finals for League of Legends, and Northern Arena 2016 at both the Toronto and Montreal venues. Images courtesy of Blizzard Entertainment. Amanda is the Digital Content Manager at Perk.com Canada and loves all things content and SEO. She enjoys tea, books, crochet and cats — sometimes all at the same time.